~Summation has amassed the most unique and “Profit Driven” data profile in our history. 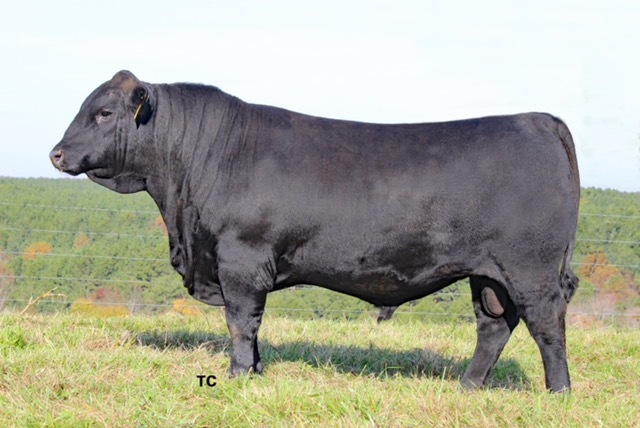 At printing, no other non-parent bull in the breed comes close to matching his combination of calving ease, birth weight, growth, carcass merit and index values. ~When adding restraints for YH/MW/MH, his uniqueness becomes more evident. ~In the flesh, summation is massive, wide based, deep flanked, upheaded, good footed, free moving and extremely docile. He exhibits the look of a practical, adaptable, “Cow Making” kind of Bull.